With Houston Kitchen Remodeling, you know that you are getting quality materials, professional workers, and flawless results. Whether your project is big or small, we put the same effort into making sure that you receive the final product that you envisioned at the start. We do this while working with you to make sure that the project fits your budget, your timeline, and your tastes. Home remodeling does not have to be an ordeal. It can be a pleasant progression from the home you have now to the home you always wanted. We believe this and deliver nothing less. Let us give you the home that you will love even more with a stress-free home remodelling experience. At Houston Kitchen Remodeling our ultimate goal is your satisfaction. We want you to be satisfied with everything from the process of remaking your kitchen to the finished result. In fact, this is our goal for all of the home improvements, repairs, and other projects that you bring to us. We know that if you are satisfied with the entire process from start to finish then we have done our job right. 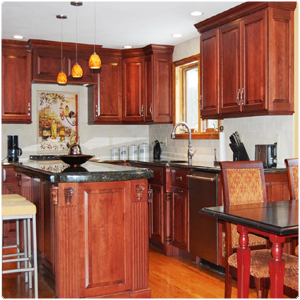 Contact Houston Kitchen Remodeling for your next home remodeling project. You are only one call away from the home of your dreams.